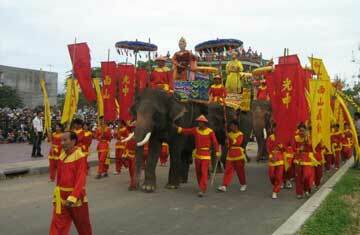 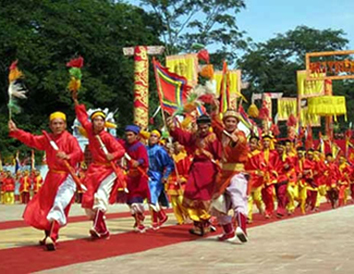 Commemoration Festival of Nation Founder King HÙNG (on April 26th i.e. 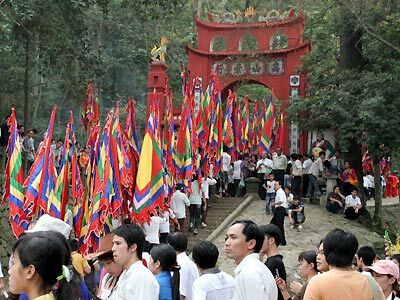 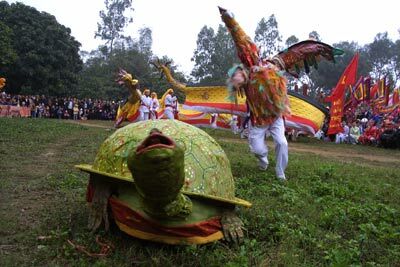 March 10th of lunar calendar) : It's Commemoration Feast in HÙNG Temple, at Hy-Cương Village, District of Lâm-Thao, Province of Phú-Thọ. 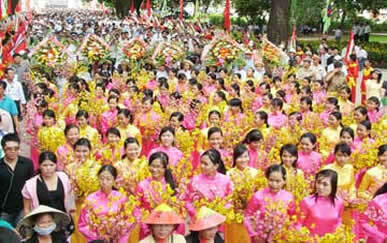 Commemoration Festival of Two Ladies Sisters TRƯNG : It's about the Festival organized each year according to nationajl protocles and regionales traditions for commémorer the first soulèvement on Mê-Linh Lands of the whole Âu Lạc people against feodales forces of northern HÁN Dynasty in the beginning of Christian Era, leaded by Two Ladies Sisters TRƯNG (Trưng-Trắc and Trưng-Nhị) in the spring of the Year 40 AD. 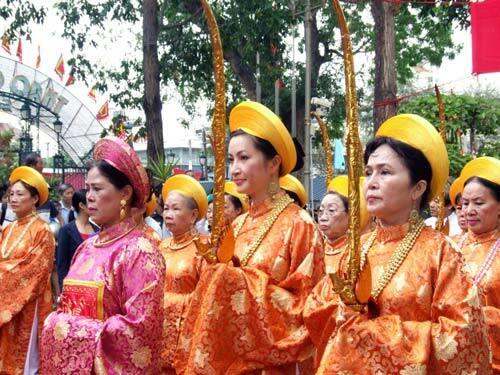 Two Ladies Sisters TRƯNG had founded an independent monarchic nation, unified and sovereign in this time, putting an end to a first period of invasion, governed by northern feodal China during 246 years (from 207 BC. 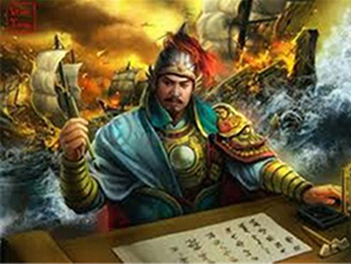 into 39 AD.). 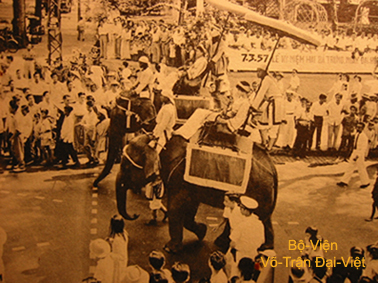 under Republic of Việt Nam . 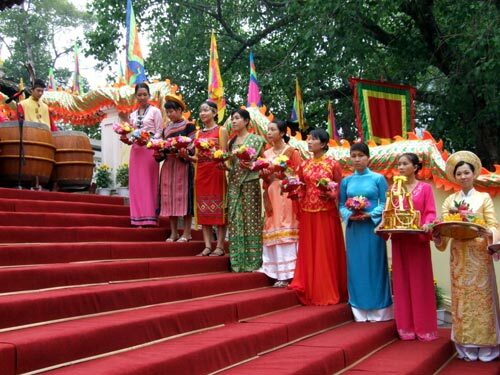 The lands where Two Ladies Sisters TRƯNG had passed through, the places of fortifications and battlefields established by them and their generallisimos becomes thus the lieux where are built consacred temples dedicated to their cult without interruption. 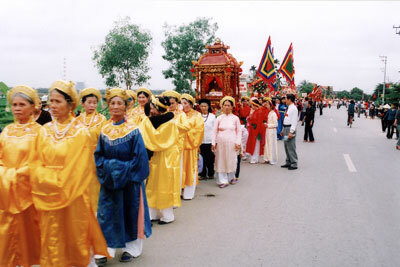 At present these are culural historical vestiges in geographical region of Vĩnh-Phúc. 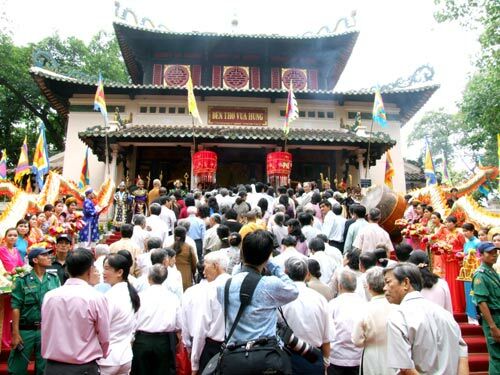 Each year, in quartiers of historical vestiges inherent in Temples dedicated to the Cult of Two Ladies Sisters TRƯNG a Festival are openied from 4th into 10th of First Lunar Month (the 6th is the capital day of Festival). 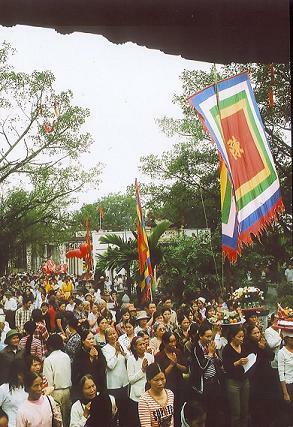 Festival organized according to protocols of national rank and regional traditions include : the offerings of alight incense sticks, the metting for commémorer the day when Two Ladies Sisters TRƯNG officiated the Sacrifice to Flags at the very beginning of the uprising and to celebrate the Rites according to traditional protoles, as well as cultural activities, entertainments, sports and physical education events. 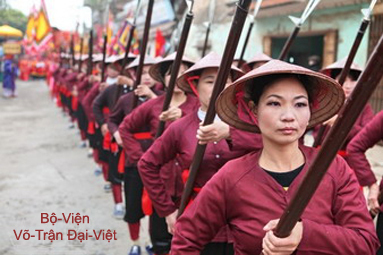 It exists in the whole country 103 places of cult, dedicated to Two Ladies Sisters TRƯNG and their Generalissimos and Warriors, in 9 Provinces and Cities. 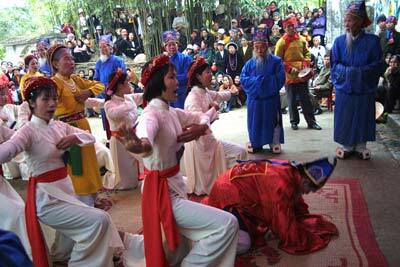 Particularly at Mê-Linh Prefecture, there are 25 Temples in 13 Villages inherent in historical vestiges. 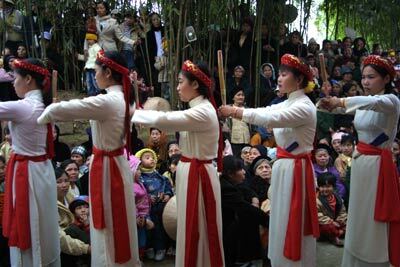 of Two Ladies Sisters TRƯNG. 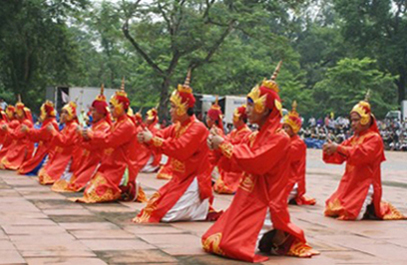 Two Ladies Sisters TRƯNG in 2010.
of Two Ladies Sisters TRƯNG's Female Warriors. 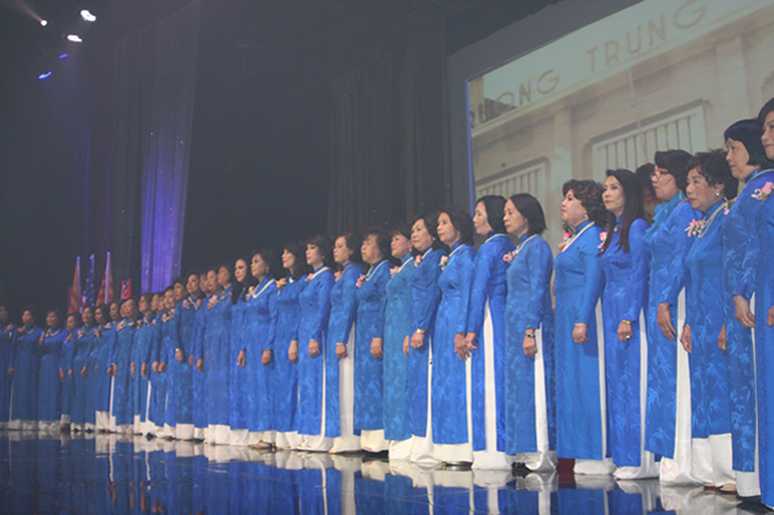 organized by the Old Female Students of King Ladies TRƯNG School Association. 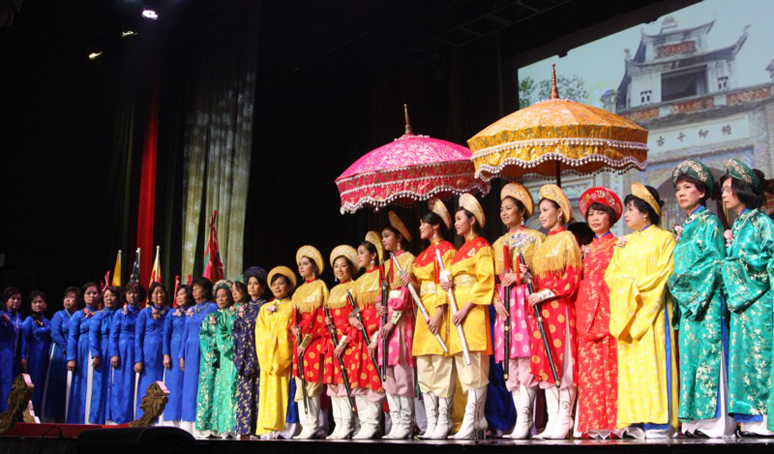 at Saigon Performing Arts Center in Fountain Valley - South California - in 2014. 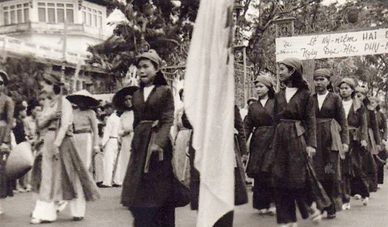 Old Female Students of King Ladies TRƯNG School at Saigon in bygonedays. 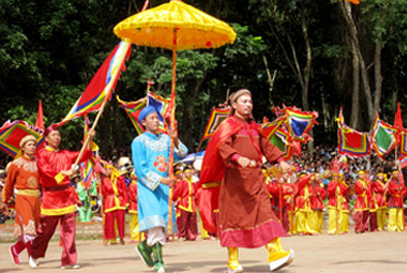 Commemoration Festival of Illustrious Generallissimo Lý-Thường-Kiệt (1019-1105), winner against Song army : It's the Commemoration Feast at Bắc Biên Village (on April 22th i.e. 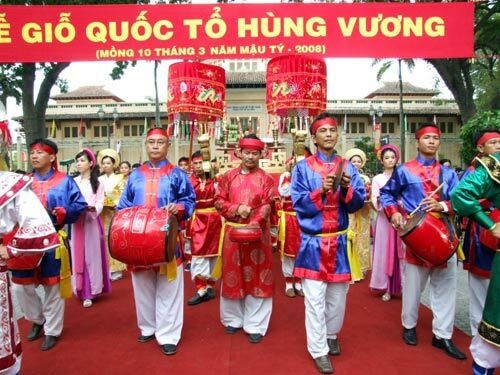 on March 6th of lunar calendar) The life and the feats of arms of the illustrious general Lý-Thường-Kiệt have been writen down in history books ; numerous are the lands where the peouple has built temples for worshiping him there a cult. 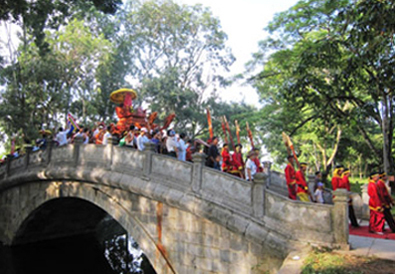 At Cơ-Xá Temple : It's about the place that la municipalité have decided to begin the restoration in the view of illustrious général Lý Thường Kiệt veneration, in occasion of 996 years commemoration of Thăng-Long medieval capital. 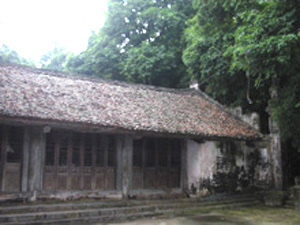 This Temple is located at the at the beginning of Nguyễn-Huy Tự steet (phường Bạch Ðằng, in arrondissement of Two Dames Trưng). 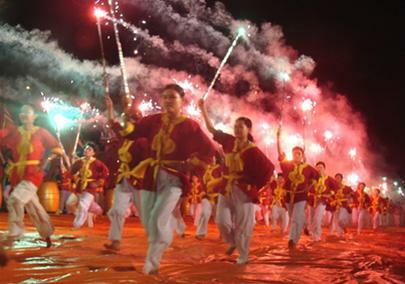 Every 21 on 2nd lunar month, plenty of persons come there from several lands for making an offering of incense sticks to the memory of the famous general from LÝ Dynasty, their national hero. 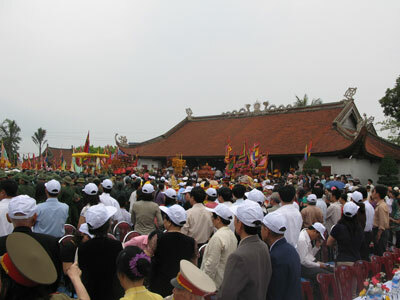 In Hà Nội, illustrious general Lý Thường Kiệt receives also the veneration of population at Nam-Ðồng Temple (district of Ðống Ða), at Thiên-Tiên Temple (Hàng-Bông trade street) and at Bắc-Biên Temple (in arrondissement of Long Biên). 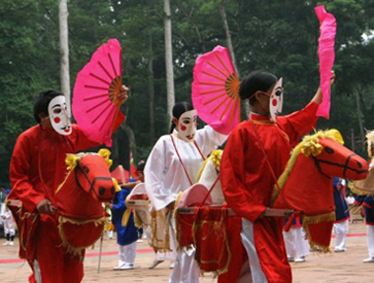 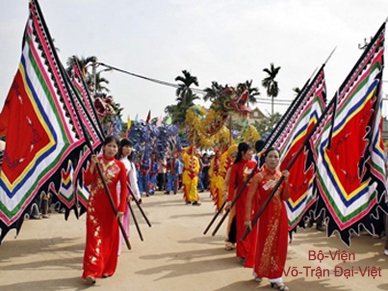 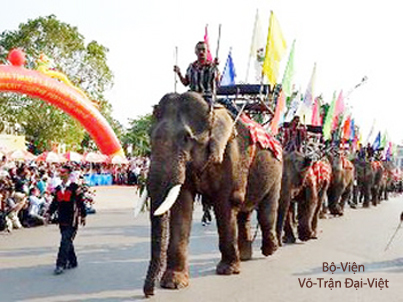 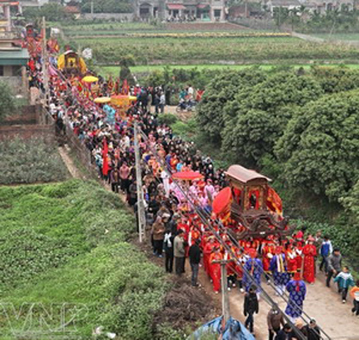 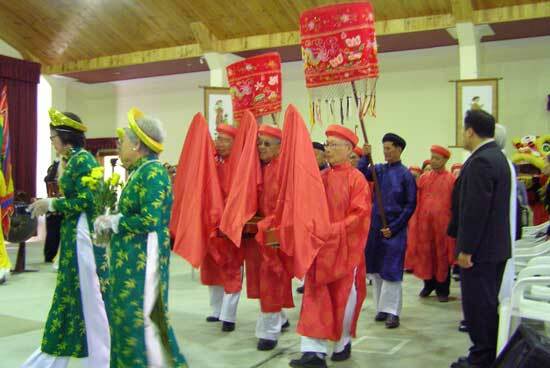 At Bắc-Biên Village(commune of Ngọc-Thụy, sous-prefecture of Gia Lâm - Hà Nội City), the Commemoration Feast takes place on the 6th of 3rd lunar month in reconnaisance of illustrious general Lý Thường Kiệt, the person having guided the people in the victory against SONG invaders . 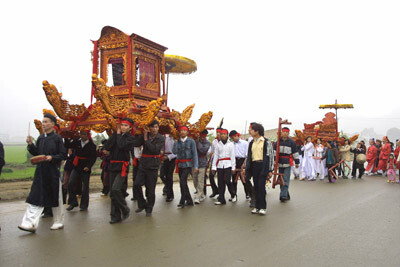 This Feast of Bắc Biên village shows also social relations with limitrophe villages where the Cult Temple is dedicaced to Lý Thường Kiệt. 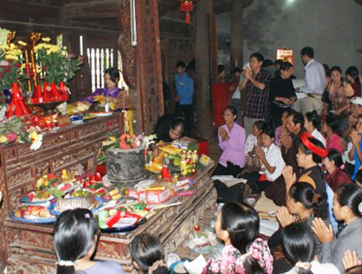 At Nghè-Bươu Temple : This Temple is located at North-West from Lộ-Bao village, commune of Nội-Duệ, sous-prefecture of Tiên-Du. 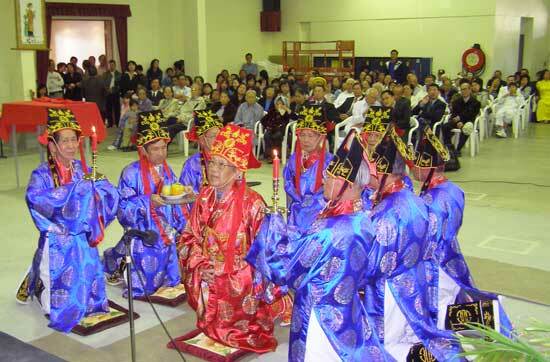 This is a hieratical Temple in the shade of leaves. 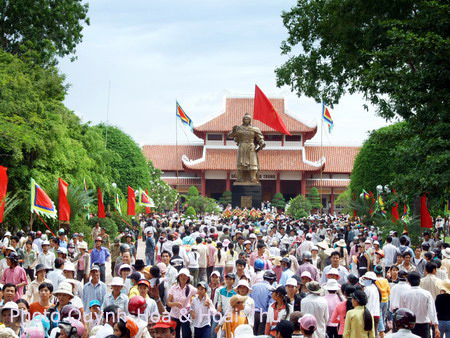 This is the exceptionel vestige of Bắc-Ninh territory, an old place of Connetable Lý-Thường-Kiệt cult, the man having several kind deeds to the people and the country. 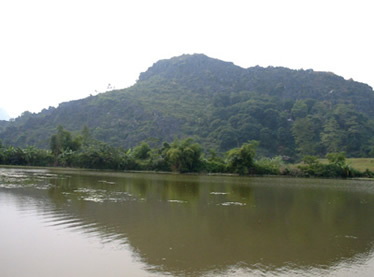 According to the regional oral tradition, Nghè-Bươu was, in effect, the place where stationed the post of commandement of Lý Thường Kiệt during advances of his troops for establishing defence lines of Như-Nguyệt river in order to fight SONG army. 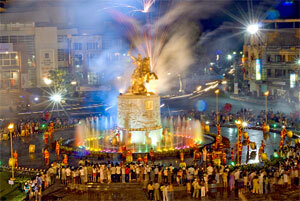 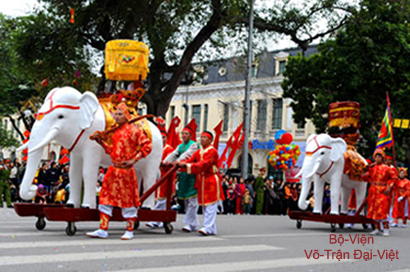 Since always, people of Lộ-Bao venerate Lý Thường Kiệt as Tutelary God of Villages and CIties. 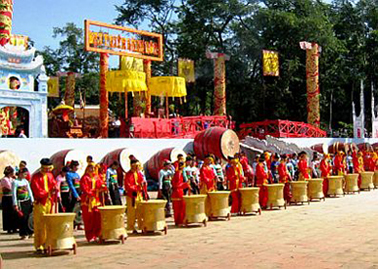 At Quyển-Sơn village Temple : The Commemoration Feast is organized every year, on the 15th day of the 3rd lunar month, in "Trúc Temple", situed at the commune of Thi Sơn, sous-prefecture of Kim Bảng, in the Hà Nam town. 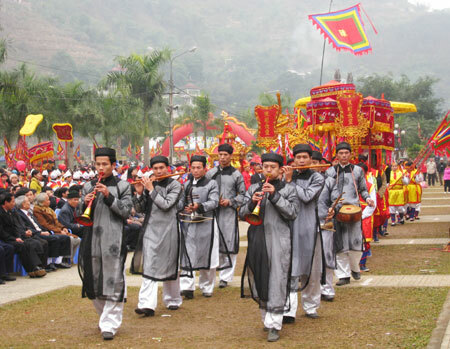 A great Feast of Commemoration is organized there every five years, bringing together precious folkloric elements and rares since fluvial regions into those of mountains. 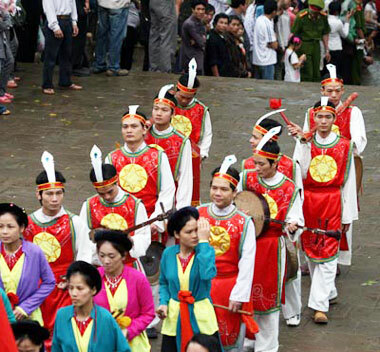 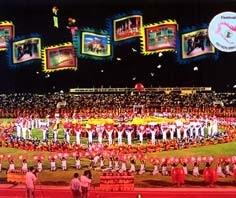 The rythm of "Hát Dặm" Folkloric Songs from Thi-Sơn commune made oneself famous in all the country. 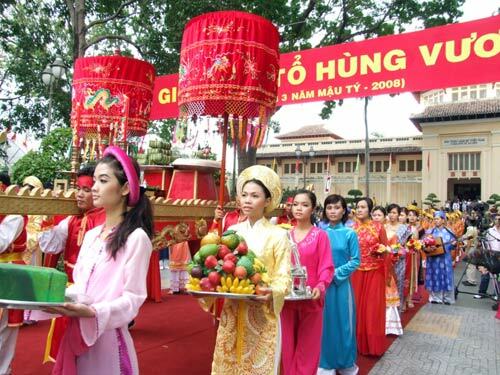 Commemoration Festival of Illustrious Generallissimo Trần Hưng Đạo (1228-1300), winner against Mongol-Yuan army : The Commemoration Feast is organized each year in Autumn on August 8th of lunar calendar ati Kiếp-Bạc Temple : the veneration place of King Hưng Đạo Trần Quốc Tuấn, at Hưng Đạo Village, District of Chí Linh. 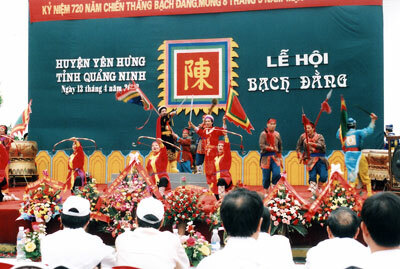 At Lục-Đầu, the river still rings out the war cries of combatants. 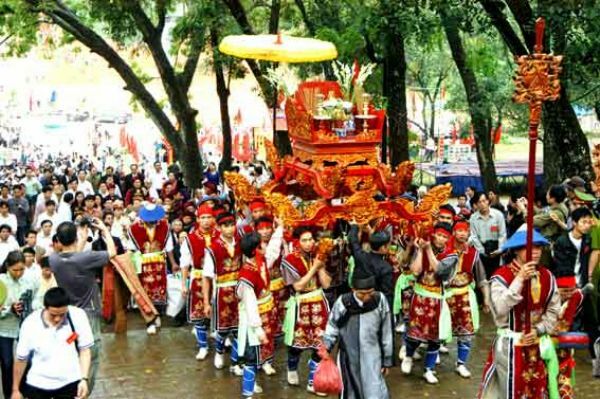 To tell the truth, King Hưng-Đạo Trần Quốc Tuấn died in his palace on August 20th Year of Snake (1300) of lunar calendar (i.e. 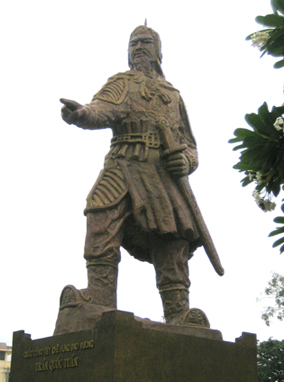 September 5th1300). 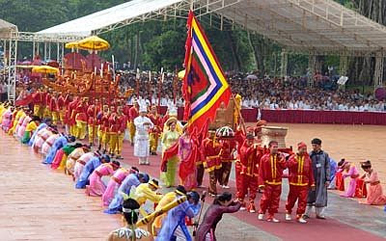 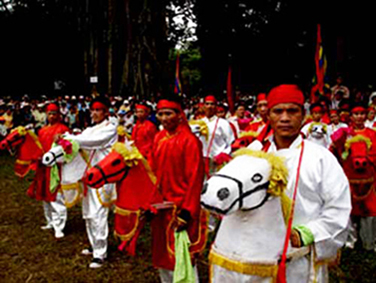 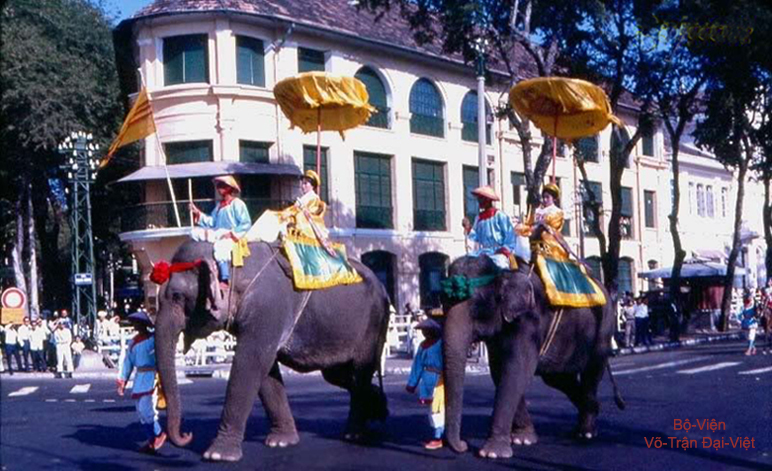 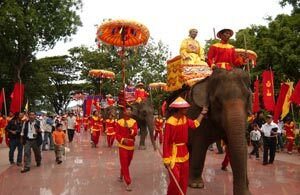 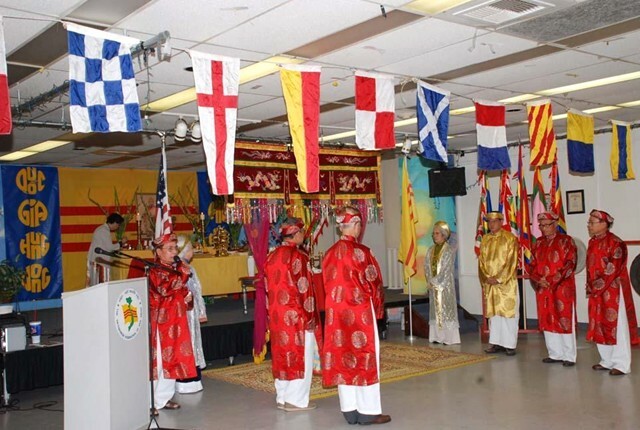 Commemoration Feast of Pacificator King LÊ-Lợi (1428-1433) : Each year, on 22th of Lunar Month August, Việt people and tourists ò the nation come en foules nombreuses to the région of historical vestige of Lam Kinh (prefecture of Thọ-Xuân, province of Thanh-Hóa) in order to feast the Commemoration. 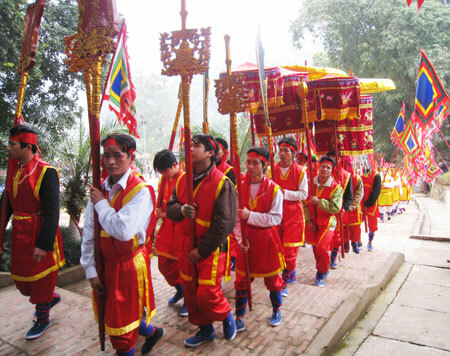 In the subconscient of each person is deeply engraved the dicton “The 21st forLê Lai, the 22nd for Lê Lợi” in view to rmember the imposing merits grandioses of these people's Heros, having led the rising of Lam Sơn and vanquished Minh (MING) armies, enthroning the first Emperor of Posteriors LÊ Dynasty, the most longer Dynasty of Việt Nam History (by consideration of the First LÊ Dynasty and the LÊ Dynasty of the Renaissance). 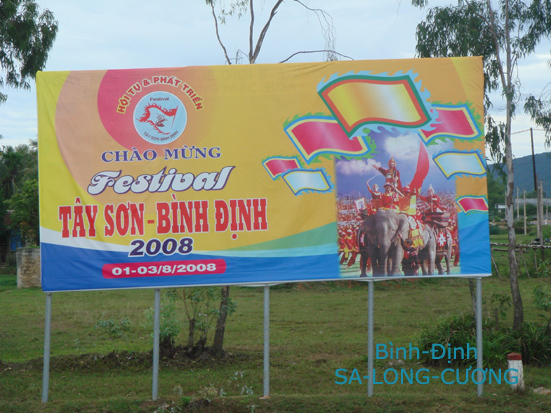 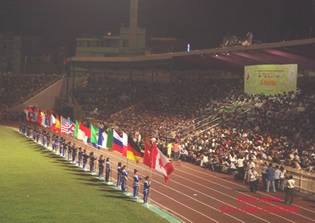 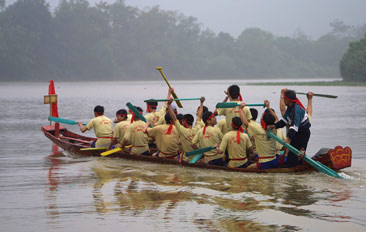 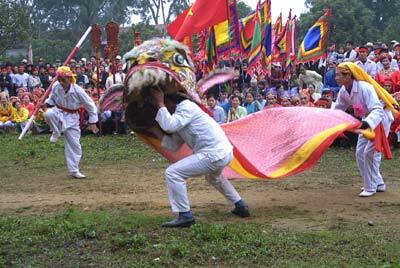 during the Tây-Sơn Bình-Đinh Festival 2008.
during the Quang-Trung Emperor Commemoration Feast. 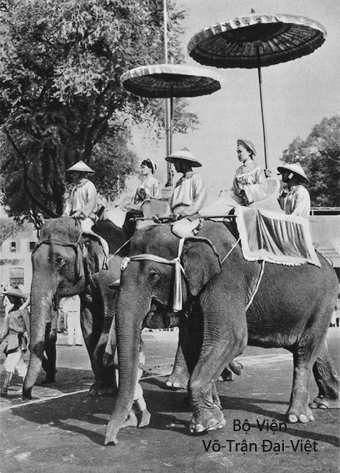 in order to outstrip Mandchus invaders. 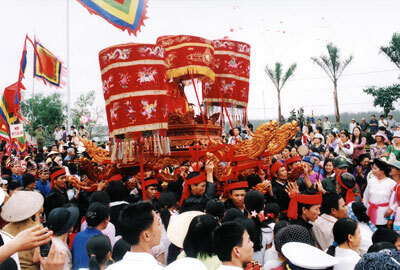 Trumphal return of Quang-Trung Nguyễn-Huệ Emperor.